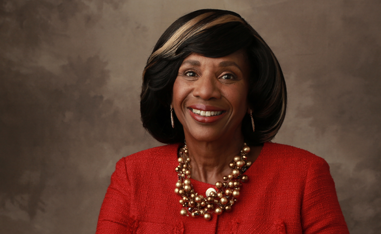 The Cordell Hull Speakers Forum of Cumberland School of Law hosted American Bar Association President Paulette Brown Thursday, September 24 in the John L. Carroll Moot Courtroom. Brown, the first woman of color to serve as ABA president, spoke on the topic of “Diversifying the Legal Profession During Difficult Times.” The program was well attended by faculty, staff, students and members of Alabama’s legal community. Brown is a partner with Locke Lord LLP in Morristown, New Jersey where she is a member of the Labor and Employment Group and serves as co-chair of the Diversity and Inclusion Committee. She is also a mediator for the United States District Court for the District of New Jersey and a former president of the National Bar Association and the Association of Black Women Attorneys of New Jersey. While visiting Birmingham, Brown toured the Birmingham Civil Rights Institute and attended a lecture by Doug Jones at the 16th Street Baptist Church. Mr. Jones, a 1979 graduate of Cumberland School of Law and former U.S. Attorney for the Northern District of Alabama, prosecuted the two people accused of the 1963 bombing of the 16th Street Baptist Church. Cordell Hull Speakers Forum is a Samford University, Cumberland School of Law student-run organization. It hosts two forums a year, in which guest speakers engage in legal dialogue to equip members of the legal profession with a better understanding of the law, public policy and economics. In the past, speakers have included former Presidents of the U.S. George Bush, Sr., and Ronald Reagan; U.S. Supreme Court Justices Anthony Kennedy and Clarence Thomas; Attorney General Janet Reno; author John Grisham; and Alabama Governor Bob Riley; among others. The officers of the 2015-2016 Cordell Hull Speakers Forum are Brandi Russell, Chair; Emily Irvin, Vice Chair; Depri Hale, Hospitality Chair; Kelly Masters, Marketing Chair; Sarah Glass, Secretary; and Patrick Perry, Parliamentarian. Professor Herman “Rusty” Johnson serves as faculty advisor to the organization.